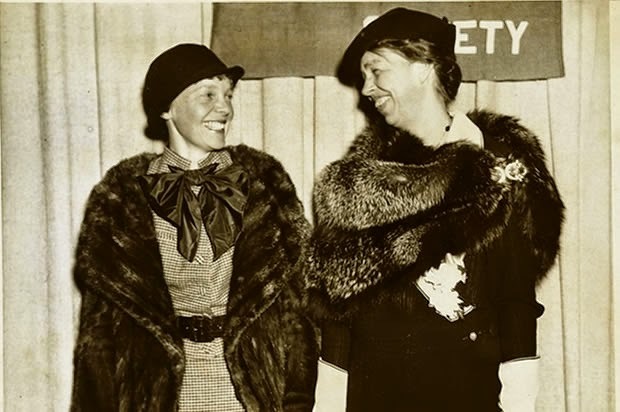 In the 1930’s two women dominated the headlines: aviator Amelia Earhart and First Lady Eleanor Roosevelt. 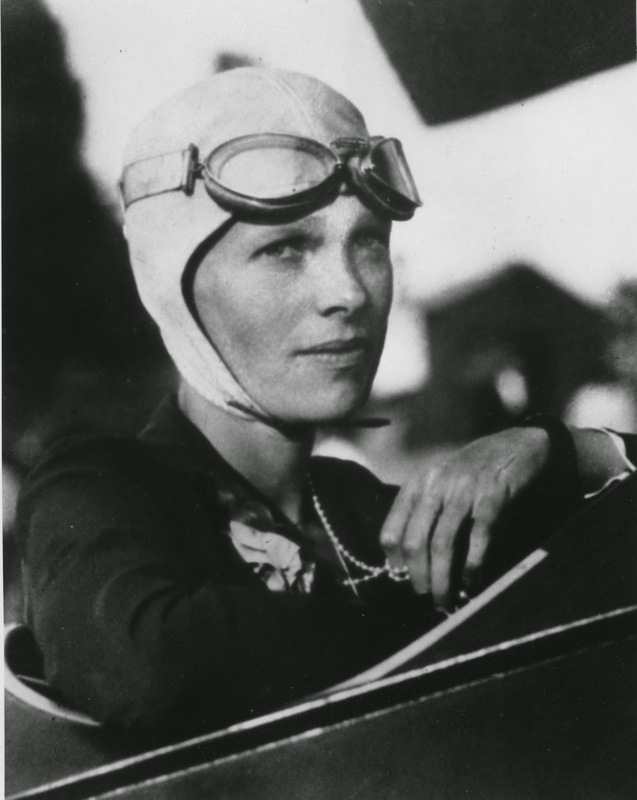 Earhart was an adventurous child, raised to be a nonconformist by her mother Amy, who dressed Amelia and her sister in bloomers instead of skirts like other girls wore. Dubbed as “tomboys,” the sisters climbed trees and roamed the nearby woods. At the age of ten while at the state fair, Amelia saw a biplane and fell in love with the notion of flying. Amelia was convinced that women could do anything men could do and kept a scrapbook of newspaper clippings about successful women in predominantly male-oriented fields, including film direction and production, law, advertising, management and mechanical engineering. As a teen, she was fascinated by an air show given by a World War I flying ace. A few years later her father took her to an airfield where she was treated to a ride in an airplane. By the time the plane lifted off the ground, Amelia was hooked on flying. She went on to national fame when she began her flying career, marking many “firsts” among aviation feats for women. In 1932, she became the first woman to fly nonstop across the Atlantic alone, flying from Newfoundland to Ireland on a flight that was just shy of 15 hours. She received the Distinguished Flying Cross from Congress, the Cross of Knight of the Legion of Honor from the French Government and the Gold Medal of the National Geographic Society. 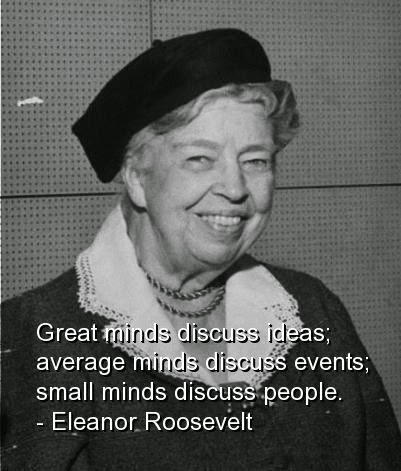 As her fame grew, she developed friendships with many people in high offices, such as Eleanor Roosevelt. Eleanor’s background was much different. After the death of her parents, young Eleanor was raised by her grandmother, a woman of wealth and high social standing. Eleanor was groomed to be one of the ladies of society as well and was sent to a finishing school in England. However, at the school, Eleanor was taught to think independently and she developed her self-esteem among fellow students. She returned to New York where she was presented as a debutante and began doing charity work with the women’s Junior League. She became passionate about helping others and spent hours volunteering in the city slums, a habit frowned upon by wealthy relatives. Eleanor married Franklin Delano Roosevelt who went on to become president of the United States. When he was afflicted with polio in 1921, Eleanor took on a more active role in politics, dramatically changing the role of First Lady. Not content to stay in the background and handle domestic matters, she showed the world that the first lady was an important part of American politics. She gave press conferences and spoke out for human rights, children's causes and women's issues, working on behalf of the League of Women Voters. She also focused on helping the country's poor, stood against racial discrimination and, during World War II, traveled abroad to visit U.S. troops. So it came as no surprise that the First Lady of Aviation and the First Lady of the United States admired and respected each other. As a frequent guest to the White House, Amelia and Eleanor discovered their mutual desire to fight both racial and sexual discrimination, as well as, help the disadvantaged of the post-depression era. Outspoken about their concerns, these women braved public opinion by doing things not done before. At a White House dinner party on April 20, 1933, Amelia invited Eleanor to go on a night flight to Baltimore and back. The president was away, but other dinner guests, including the president of Eastern Air Transport, went to the nearest airport, Hoover Field in Arlington, VA. Dressed in their evening clothes, the party boarded an Eastern Air Transport twin-engine Curtis Condor. Earhart, dressed in a white silk gown and wearing white kid gloves, was at the controls of the plane for most of the flight. Eleanor had hopes to someday take flying lessons from Amelia, but the president objected to the idea, so Eleanor’s dream to be a pilot never materialized. Marilyn Turk lives in and writes about the coastal South, especially its history. Rebel Light, the first book in her Coastal Lights Legacy series, and her Lighthouse Devotions, will be published in 2015. Her historical suspense, The Gilded Curse, will be published in March 2016. 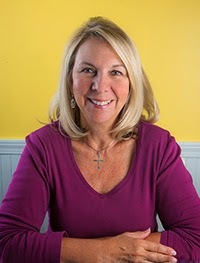 She writes a weekly lighthouse blog @ http://marilynturk.com. This is a fun story, Marilyn. I wrote a children's book about Amelia awhile back, but her friendship with ER was new to me. Thanks! Rebecca, I got the idea for this post from a children's book I read at my grandson's school library called "Eleanor and Amelia." Enjoyed this, Marilyn! And that quote by ER. Wow. Thanks, Pam. She had quite a few memorable quotes, and it was hard to choose just one. I'm trying to zip through emails but when I got the one about this post, I had to hop over and read it. And I'm glad I did. These women accomplished so much, and it's interesting to learn they were friends. Thanks, Marilyn. So glad you enjoyed it, Johnnie. I found the two ladies fascinating as well. Thanks, Janet. They were definitely women ahead of their time. Great story. I love to read about strong determined women. Thanks, Jude. Glad you enjoyed the post. What a neat post, Marilyn. Interesting, true, and little known. Thanks for sharing! I admire both those women. Thanks, Linore. Glad you enjoyed the post about these interesting women.